"Carly is AMAZING. She is beautifully talented, professional, prompt and all around nice person. Carly was responsible for my wedding glam and I knew from the moment I met her that I had complete faith in her! She is reasonably priced and able to travel! Carly I can't thank you enough!" "Carly did a fabulous job with not only my bridal make up, but also my bridesmaids, flower girl, and mom! I can honestly say that I felt more beautiful on my wedding day than I have ever felt before, thanks to Carly. 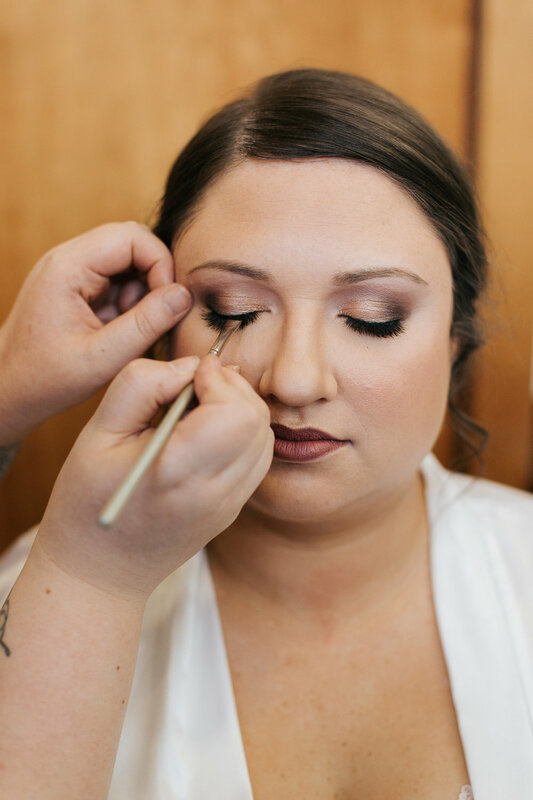 She worked with me prior to the big day so I was confident that I would love the final look, which included a trial run, but also answering any questions I had in the months leading up to my wedding. I would highly recommend Carly for any special occasion you have, especially your wedding!" "Carly is incredible! Her talent and excitement for you is amazing! She does incredible work, is so positive and fun to be around. She makes you feel like a million bucks, whether it's your wedding day or just in need of a fresh new look, she is the person to go to!"